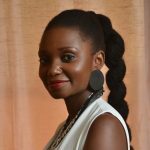 Born and raised in Cameroon, Marina Diboma is a graduate from the University of Amsterdam with degrees in Communication Science and Business Studies. She has proven experience in establishing and strengthening both South–South and North–South cooperation through trade, investment and development. Marina has a passion in building bridges between people and organization, and vice versa. She is fluent in four languages: Dutch, French, English and Spanish. Her AREAS OF EXPERTISE include: Economic Diplomacy, Development Cooperation, Media and Public Relations, Entrepreneurship, Private Sector Development and Trade & Investment with Africa. Within the framework of her professional activities, Marina has already led more than 30 business missions to/from the African continent. During these missions, she has always played the role of the head of mission and spokeswoman for both the public and private authorities. As an expert on Africa and development cooperation, Marina participates in various initiatives. It is in this context that she is a member of the INCLUDE platform, a platform that advises both the Dutch government and selected African states in their inclusive development policy. Being at the heart of the recent economic and political developments in Africa, Marina is very often invited as a speaker or facilitator at seminars, conferences in the Netherlands, Africa and other European countries to share her vision on different subjects.